Honeybees, if given a synthetic circular grid (a super form) with which to more easily begin a hive, will still construct their familiar hexagon shape within the circle. Colonization of Commonality applies this idea, in the spirit of biomimicry, to how humans form social identities and belief systems based on interpretation of larger ideals and shared experiences within a larger societal definition. The installation is accompanied by sound art composed entirely from audio samples made from activating the sculptures themselves as well as recordings of people volunteering their own interpretations and definitions of shared emotions such as love, hate, fear, redemption, isolation, and success. We all make our own hexagons within a synthetic super form; humans colonize their ideals and experiences within common themes. There are 7 Queens in the center of each hexagon that are approximately 12' tall x 3' x 3' and 24 Workers that are 8' tall x 2' x 2'. The sculptures are fiberglass with an internal steel support frame. Each Queen had its own sound art composition that was played through internal contact speakers activating the sculpture itself (listen below). 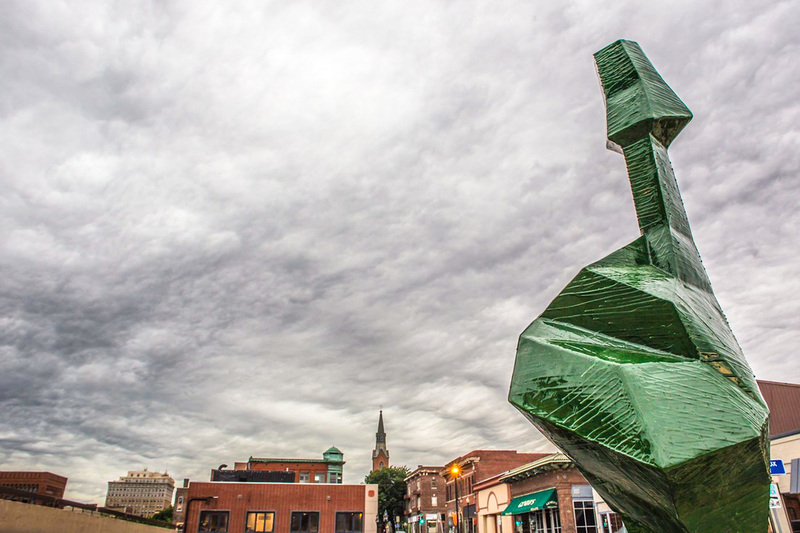 The original installation made its debut at ArtPrize in Grand Rapids, MI, in 2013. 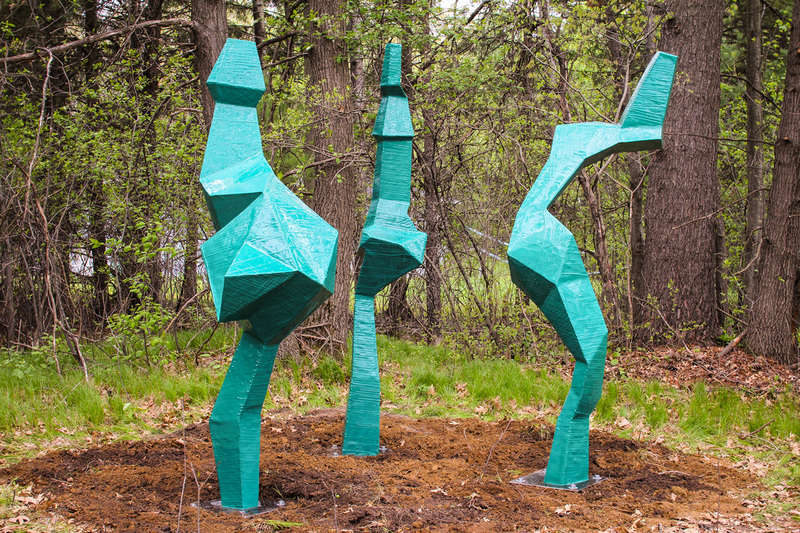 Since then several of the sculptures have "left the hive" and been installed in several locations across the country including the permanent installations Commune and Colonization of Community.